It’s the car we’ve all been waiting for, the one we’ve anticipated and dreamed about, the one that’s kept us up at night wondering what it will look like, what it will offer. 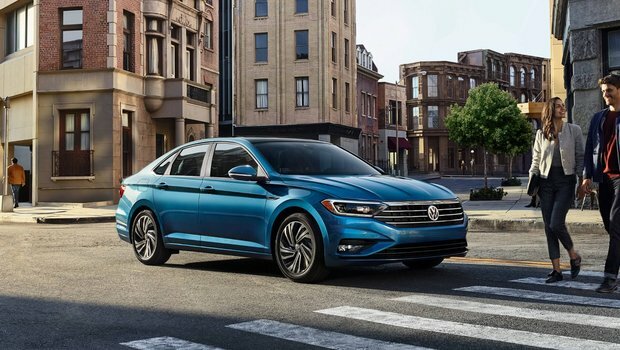 Well, the all-new 2019 Volkswagen Jetta has arrived, and it’s everything we hoped it would be, and more. There’s no denying the all-new 2019 Jetta is all grown up now. Riding on a brand new MQB platform (which is shares with the Atlas), this Jetta has grown in size (length, width and is lower than the previous generation) and style. The exterior design features a fastback-like roofline, and sports Volkswagen’s front fascia look that’s full of modernized character and flair. Inside, that character and flair continue with more space (thanks to the new platform) with 399 litres of trunk space, as well as new soft-touch materials, an available 8.0” infotainment screen (6.5” on the base model), as well as a digital gauge cluster, which can be configured according to the driver’s wants and needs. Volkswagen upped its safety game too with the new 2019 Jetta with the addition of blind-spot warning, rear-traffic alert as standard on all models. Higher trim levels offer up driver alert systems such as front collision warning with automatic braking, adaptive cruise control, auto high-beams and lane departure warning and keep assist. Under the 2019 Volkswagen Jetta’s newly sculpted hood, you’ll find the outgoing 1.4L turbocharged 4-cylinder mill that produces 147 horsepower and 184 lb-ft of torque. Power is sent to the front wheels, and there are two transmissions to choose from across the line-up: A 6-speed manual or an 8-speed automatic. 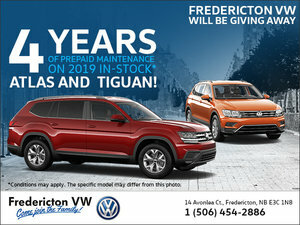 As the all-new 2019 Volkswagen Jetta starts to arrive in showrooms now, you’ll want to head down to your local Fredericton Volkswagen to speak to one of our experts about everything is newly designed model has to offer. And you’ll want to take it out for a test drive, too.